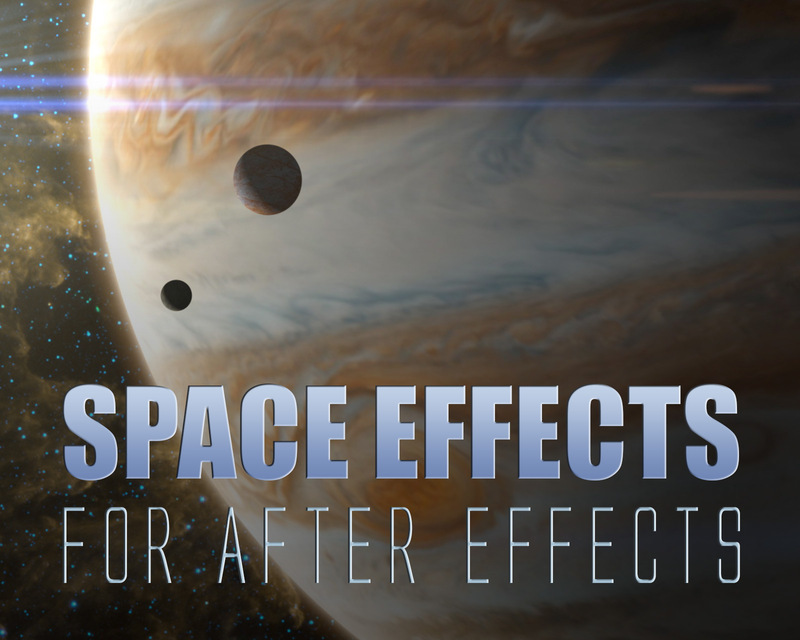 With the Space Effects Collection template, anyone with After Effects CS3 or above can make stunning 3D space animations without the use of plugins! Watch the Demo Video for Space Effects Collection. With this template you can create stunning, high-quality, 3D space animations without the use of plugins. All you need to do is animate your camera to move through 3D space, and you’re ready to export. If needed, the Control Layer in each comp contains easy-to-use slider controls for customizing the lighting, shadows, atmosphere, size/rotation, and background for each celestial body. The lighting, sun with lens flare, and 360° star background will all adjust and react realistically to your camera position. Included in the template are 12 celestial bodies: a galaxy, sun, Earth, moon, Jupiter and Europa, Mercury, Venus, Mars, Saturn, Uranus, and Neptune. Planets use high-res texture maps, allowing for detailed close-ups. Also included are 10 high-res space images for use as backgrounds, and 5 customizable lens flares, taken from my Creation Lens Flares template. In the included readme.txt file, you’ll find a link to a high-def video tutorial which walks you through the entire template, as well as creates an example fly-by animation.